Motorist and communities around Selwane and Matsimba village outside Phalaborwa have been warned of a lion on the loose. Police spokesperson Sergeant Tsako Mabunda said the Lulekani the surrounding community of the lion which was seen along Giyani-Selwane road. He said the police received a call from a motorist who was traveling along the Giyani-Selwane road alleging that while traveling on the road, he noticed a lion which was busy eating a carcass of a cow next to the road. LION TAKES A WALK ALONG THE HIGHWAY! A male lion that had escaped from the Kruger National Park in Mpumalanga on Sunday morning has been recaptured, the South African National Parks (SANParks) said. The lion was spotted by passersby on the N4 from Crocodile Bridge towards Hectorspruit. It caused quite a scene with motorists stopping to take pictures and videos of the king of the jungle. He said when he came closer to investigate, the lion then ran away into the bushes at Selwane village. 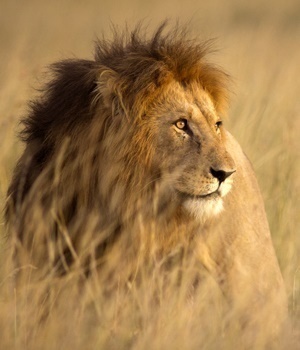 Mabunda said the nature conservation department was also activated and a serious hunt for the lion has been initiated.